I am offended, and with good reason. All week, Beam Global has been talking down to me as though I’m 18 and haven’t a brain in my pretty little head. Well, I’ve had it! Personally, I haven’t had a drink with a bubble in it since the year 2000 and there isn’t anything about Sauza Tequila that is going to make me start. The way I want to be spoken to? Really? This statement smacks of “Women can’t pay attention unless you show them a muscular man and a baby animal of some sort. Then you’ll have their attention long enough to introduce your product. Hey, I like biceps and puppies as well as the next person, but I’m quite capable of speaking on an adult level for more than 60 seconds even without my ADD medication. This is not the way I want to be spoken to. I outgrew the wine cooler when I was 18. It seems to me that Beam Brands is marketing their products to 18-21 year old straight female and gay male drinkers of the U.S. who are buying their booze at mom and pop package stores that don’t check identification. What adds insult to injury here is both of the above quotes are attributed to a woman, Vanessa Jenkins, Senior Marketing Director of Tequilas at Beam Inc. Perhaps she’s biased as she spent the early part of her marketing career pushing products like Saccarin and Aspartame for Merisant (originally sprouted from the Monsanto company)? Honestly, I’m surprised that Beam Global and Ms. Jenkins believe the average female consumer is incapable of appreciating a finely crafted tequila without added bubbles and sugar. 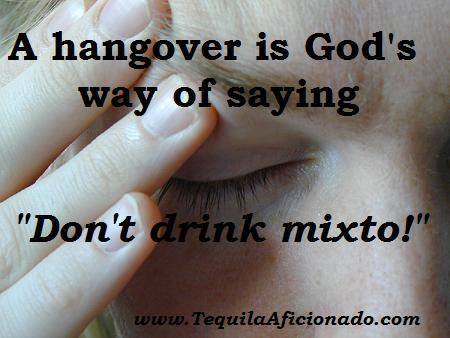 But then again, nobody ever accused Sauza of being a finely crafted tequila. I don’t believe I’m overstepping when I say not all women want to be spoken to like they’re idiots. Don’t even get me started on Hornito’s Lime Shot…another Beam Global product that needs to be as cold as ice to be palatable. Perhaps Sauza should consider making a better tequila instead of covering up the flavors of the ones they do make?